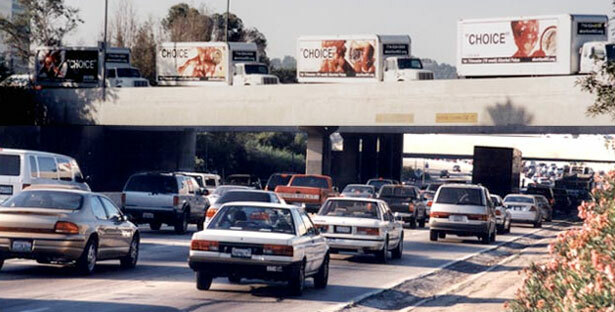 The Reproductive “Choice” Campaign (RCC) is unlike anything ever undertaken in the pro-life movement, and it is the latest step in CBR’s unwavering commitment to exposing the evil of abortion. 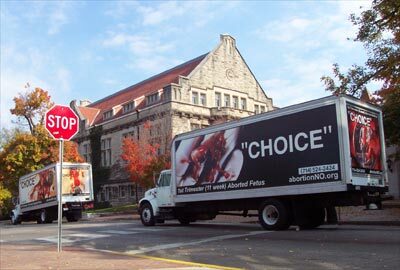 Each high-resolution sign is designed to juxtapose the reality of abortion (picture) with its abstraction (“choice”). Since abortion advocates love to talk about “choice”, it is time for the entire world to see what that “choice” does to unborn children. Abortion will continue to be trivialized as “the lesser of two evils,” or as “a necessary evil,” so long as it is allowed to remain an invisible abstraction. 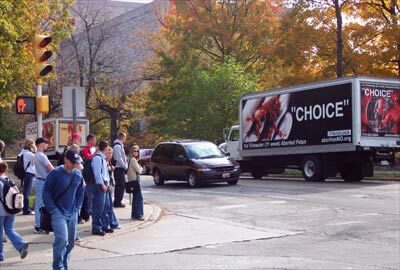 Pictures make it impossible for anyone with a shred of intellectual honesty to maintain the pretense that “it’s not a baby” and “abortion is not an act of violence.” Unfortunately, virtually every TV station, newspaper, and magazine in America blanketly refuses to show this country what abortion actually does. As such, CBR has poured great energies into finding ways around these media gatekeepers. 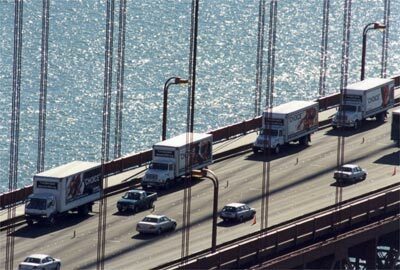 The American roadway has become our chief venue, and though we are not popular, we are effective. CBR is not out to win a PR battle, but we are out to change the way people perceive abortion. We want America to be very bothered by this massive and hidden injustice, even if we are hated in the process. 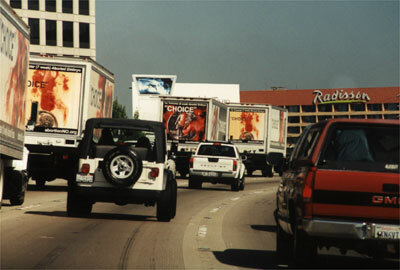 The RCC trucks began full-time operation in June of 2001. A year later, in the summer of 2002, the RCC planes joined the project. All of the various efforts to keep our images off the streets or out of the air have failed. Use the links above to learn more about this powerful campaign.